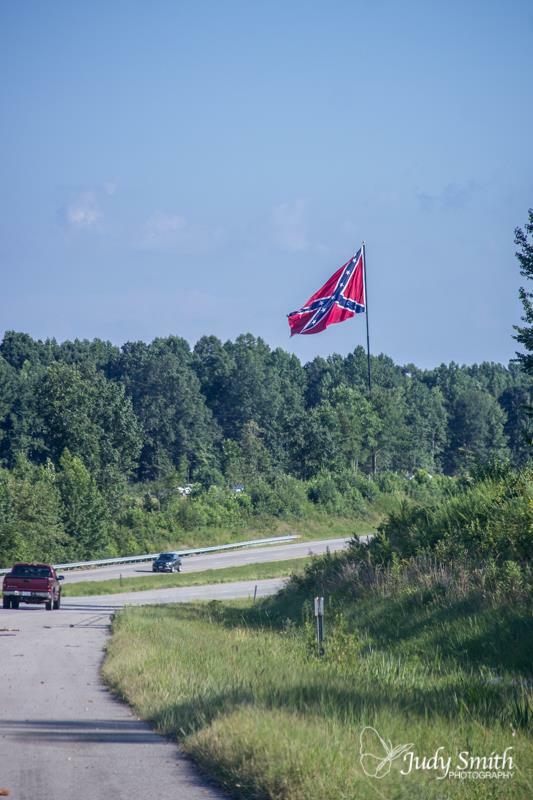 If you are driving on route 29 near Danville, you can't miss the World's largest Confederate Battle flag on the side of the road. 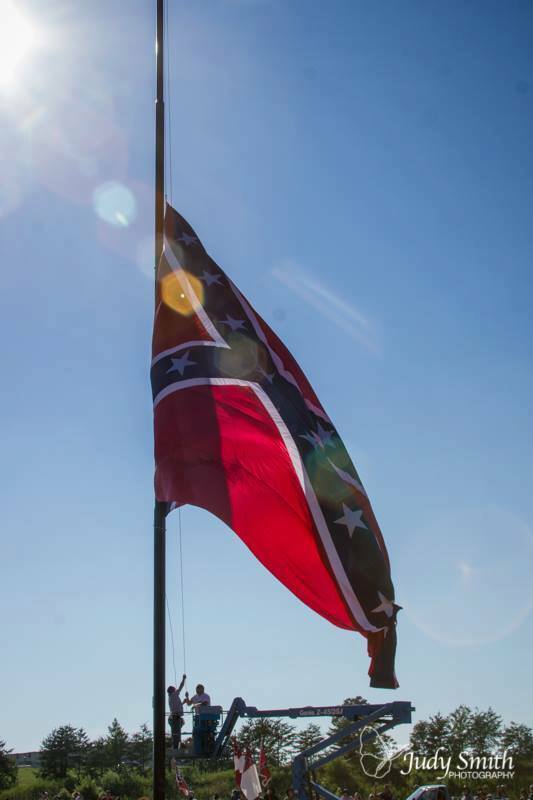 Standing at one hundred and nineteen feet tall and 30 feet by 50 feet in dimension, there is no confederate battle flag which can rival it. This is the 14th battle flag installed near the last confederacy capital during the Civil War. A group called the Virginia Flaggers decided to put big flags up all around the area after City Council of Danville prohibited flying the flag on city property. "There are folks that want us to go away. They want our history to go away. They want that flag to go away, because they know what it really means and it really means resistance to tyrany and an over reaching federal government , and we're still fighting that battle today. 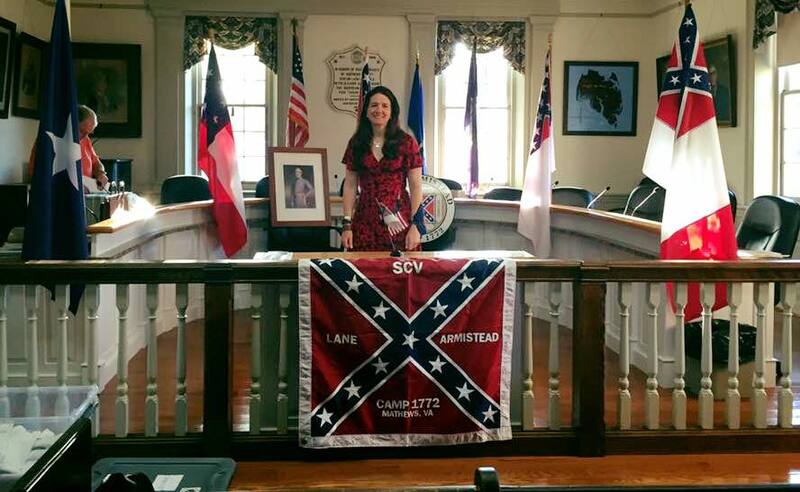 This is our history, our heritage, and we're not going to lie down and let these people take it away from us," said Susan Hathaway, who is the founder of the Virginia Flaggers. Though the flag is met with some opposition from the public, today there were no protestors at the ceremony. The group says they have already been contacted by another Danville resident who wants to put a flag up and the group says they will not stop putting up flags any time soon. "For MOST it is about heritage, honor, and respect for their ancestors. They were ok with that taking place at the graves of the veterans and historic sites, but once the few places that had flags, statues, and monuments were attacked, their only recourse was to protest. The entire city of Danville stood as the Last Capital, not just the mansion, but preservationists were content with that one small monument in 40 square miles. I'd say they had already compromised as far as humanly possible. Are their protests big? Yes, but they (and their views) have been totally disenfranchised and eliminated. Their view and opinion is instantly disregarded by most and labeled hateful and racist ( before they can even articulate it). (The actions of) one idiot in SC with one picture buried in his Facebook posts was able to (be leveraged by others as an excuse to) destroy historic statues and monuments and change the names of streets, colleges, and sports teams. The COEXIST crowd doesn't really want that, they want inclusion, but only those who think the same." Great turnout and meeting last night in Mathews, Virginia, with the Lane Armistead Camp SCV Camp #1772 at the historic Mathews Courthouse! Thanks to Commander John Anderton and the men of Camp 1772 for the warm welcome and generous support!